I’m back again with another sketch from Atlantic Hearts Sketch Challenge. I modified the sketch slightly by switching the vertical line in the background to a diagonal line using the Georgie Paper Packet. I added stitching around those panels using my sewing machine. 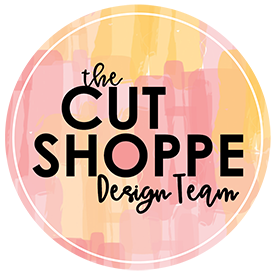 I then cut a circle & heart from Design Space on a chevron resist pattern paper that was available from CTMH in a previous paper packet special, Dream Pop, which is no longer available. BUT the good news is there are Fundamental Paper Packets that have the same types of patterns. For the center heart I grabbed white modeling paste, Twilight Re-Inker, and white acrylic paint. I mixed those mediums together until I had a color I liked and smeared it on a scrap piece of white cardstock before cutting out the heart. I messily sewed the inside of the heart using my sewing machine. I also used an EK Success Chevron Punch on vellum for the two horizontal lines that you see in the sketch. I lined the vellum chevrons with the chevrons in the circle for a cohesive look. Once I had all of that put together the card was still missing something…. I grabbed a heart stencil that was available in a previous Hip Kit I had purchased and used the same mediums as the center heart. I used the stencil on a scrap piece of paper and then I sprinkled Clear Embossing Powder along with a few flecks of Zing Glitter Gold Embossing Powder on the modeling paste while it was still wet (which is also the same technique I used on the large center heart). Once it had all dried I fussy cut a few of the hearts and added Bitty Sparkles next to those hearts. The small hearts almost feel like puffy stickers! The sentiment is from the I Do Stamp Set using White Embossing Powder and fussy cut out on vellum. 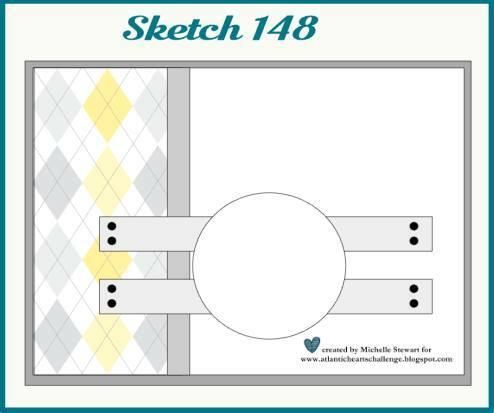 Now it’s your turn to head over to Atlantic Heart Sketch Challenge and enter your interpretation of sketch #148. Your work is phenomenal. SO creative! 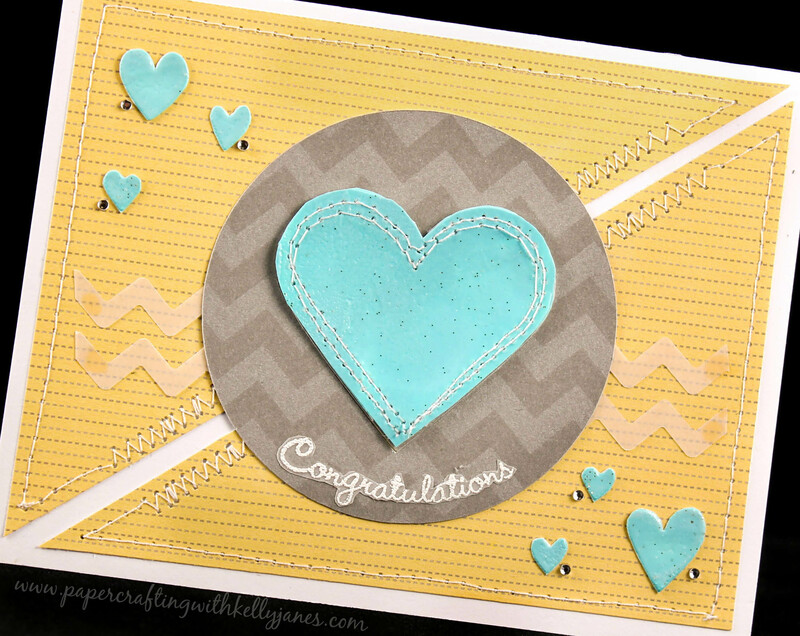 Loved seeing the card and reading your blog post! TYFS!